Well-Balanced Viola for Intermediate students. Offers colorful sound spectrum and great bow response, Splendour Viola is crafted with Fine Aged Solid Maple and Russian Spruce that have been air-dried for 3 years or more, as well as Pure Ebony fingerboard and fittings in a classic matte varnish done by skilled makers. Tonal colors and volume are significantly enhanced by specialized tonewood arching. 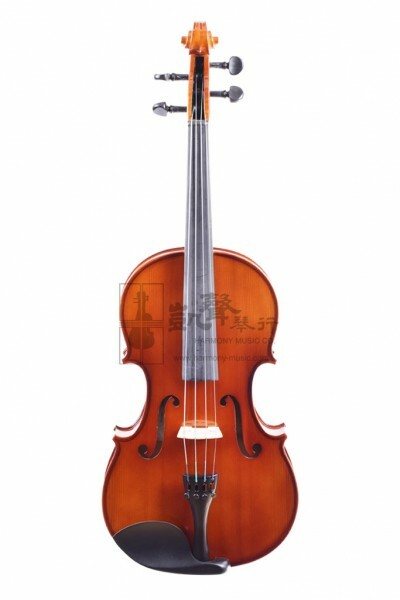 With its outstanding ease of playing, appealing aesthetics and smooth hand feel, Splendour Viola can easily be one of the best beginner instruments within its price range. Available in the following sizes: 14", 15" and 16", each Splendour Viola comes with a precisely carved bridge, a carbon fiber tailpiece with four built-in fine tuners, and has gone through careful inspection before departure. Splendour Viola Set also includes a shaped foam case, a mini rosin and a student horsehair viola bow. Learning a new musical instrument is like embarking on a fascinating journey with a new companion. At Splendour, we believe that every beginner musical instrument should be made of precisely selected quality materials, and create a balanced, pleasing tone that inspires you every step of your journey.